What is the correct beat to use in a 6/8 time? As 6/8 is a compound time signature (as you have rightly said) it means the beats are dotted notes. 6/8 is compound duple so technically you should count 2 Dotted Quarter Notes (Dotted Crotchets) in each bar. Each of these can be divided into 3 Eighth Notes (Quavers). However, if it is a new or slower piece many people prefer to count 1, 2, 3, 4, 5, 6 where there is an accent on the bold numbers. It is often a good idea to count like this to start with then move into counting 2 in a bar (this would just be the 1 and the 4 above) as this helps the music flow better. Remember that because the beat is an Eighth Note (Quaver) that this will be worth 1 count, a Quarter Note (Crotchet) 2 counts and a Dotted Quarter Note (Dotted Crotchet) 3 counts. 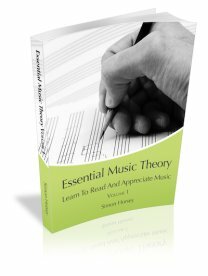 See the Rhythm Tree page for more guidance on the relative values of notes.